…for trying to post at 2am. I thought I had uploaded this photo and posted it before I went to bed. I just discovered that I did not. Doh! Isn’t it pretty? That is 270 yards of chain plied silk/merino goodness. 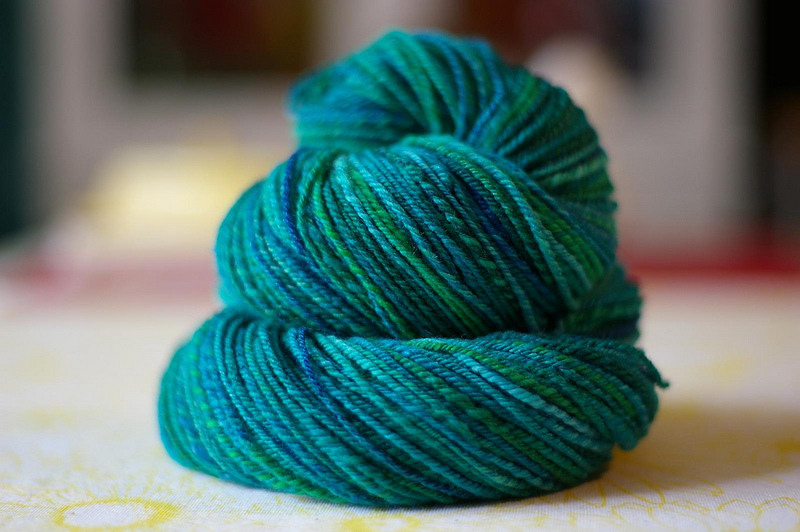 I *heart* this skein, it’s one of my favorites so far. ← When do we leave again?